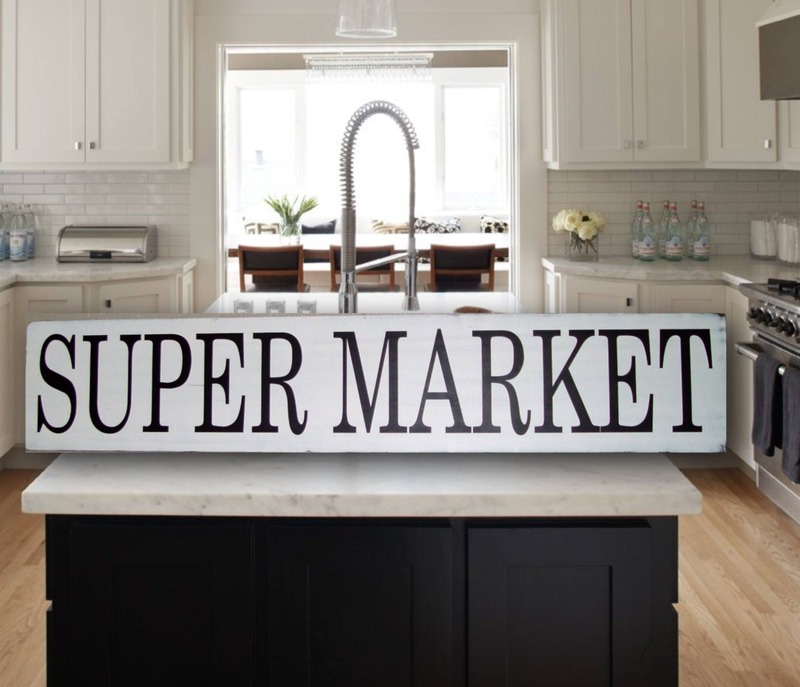 There's nothing like the charm of a Distressed Kitchen Sign, to adorn your modern farmhouse. 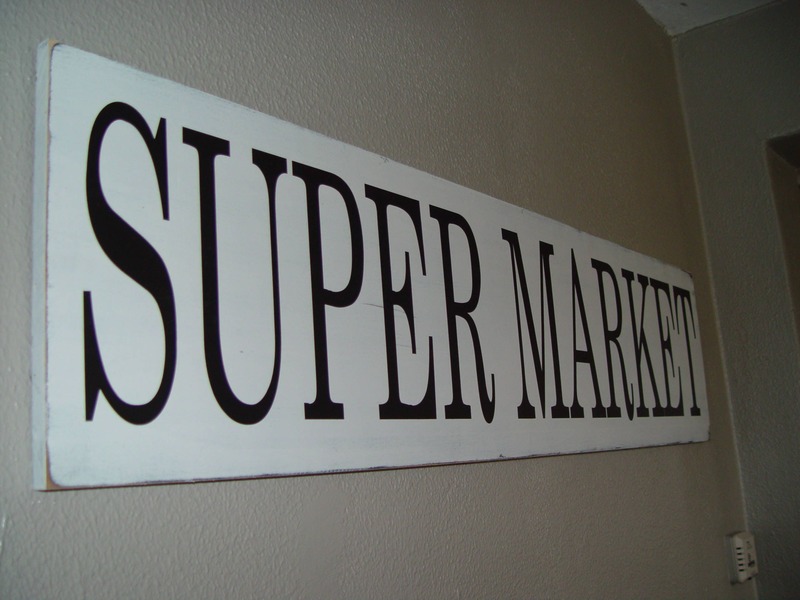 Our Large Super Market Sign brings warmth and simplicity to your modern farmhouse décor, it's truly a statement piece. 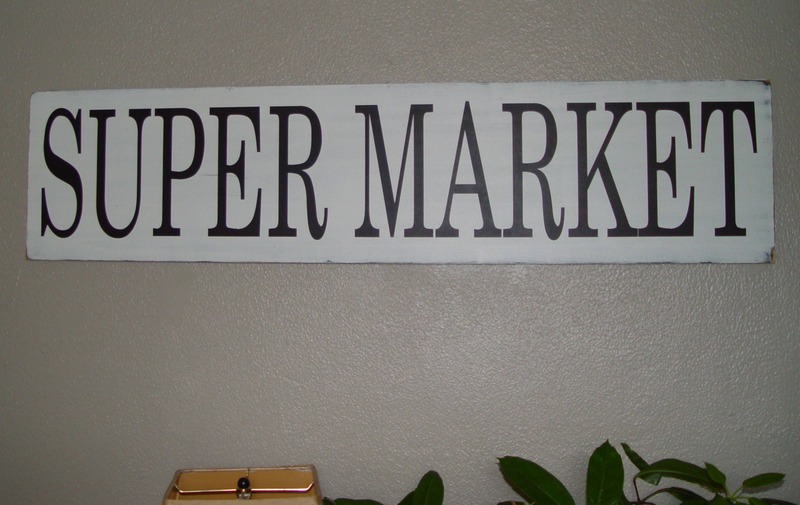 Our signs are beautifully handcrafted, and will be a décor statement addition to your home or make a welcomed gift for a housewarming, wedding, birthday or Christmas. 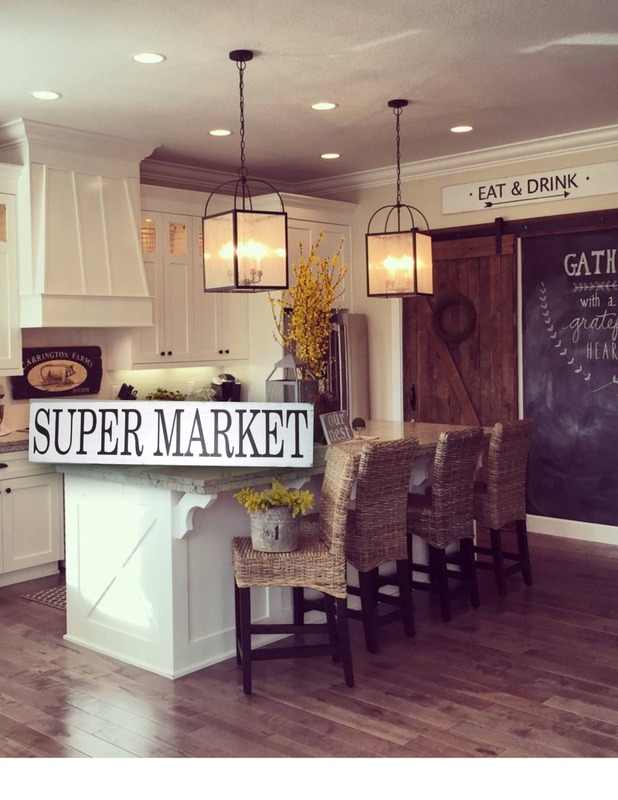 Made with real wood, white distressed paint with black lettering and a sawtooth hanger is attached for ease of hanging. The sign is hand painted. 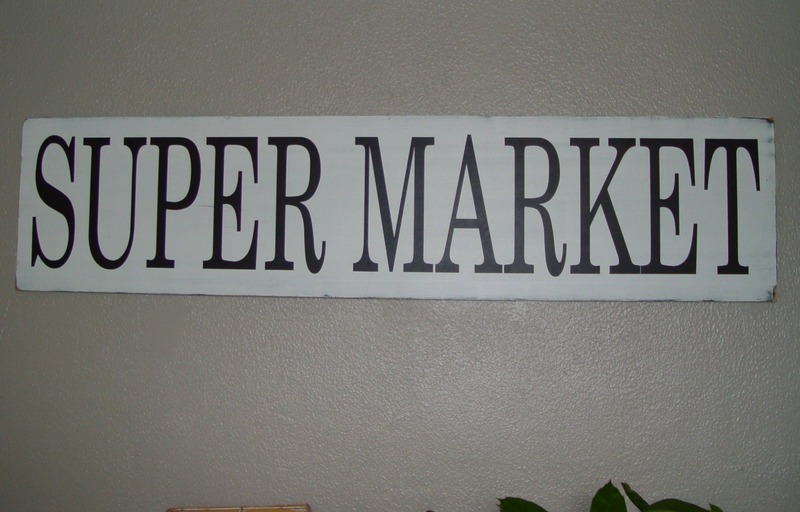 Each sign is sanded and distressed so no two signs are exactly the same, making it a one of a kind. 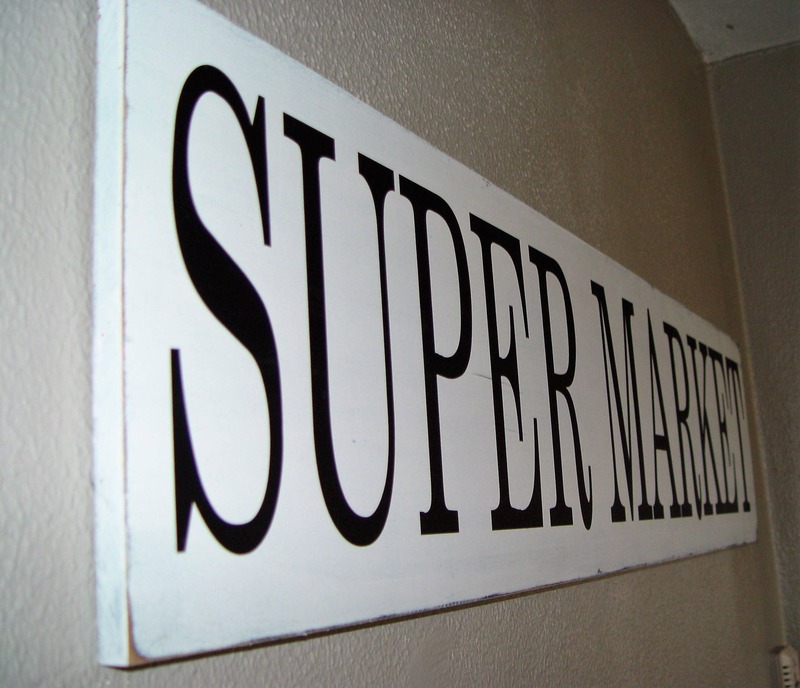 The sign includes a hanger and is ready to hang. 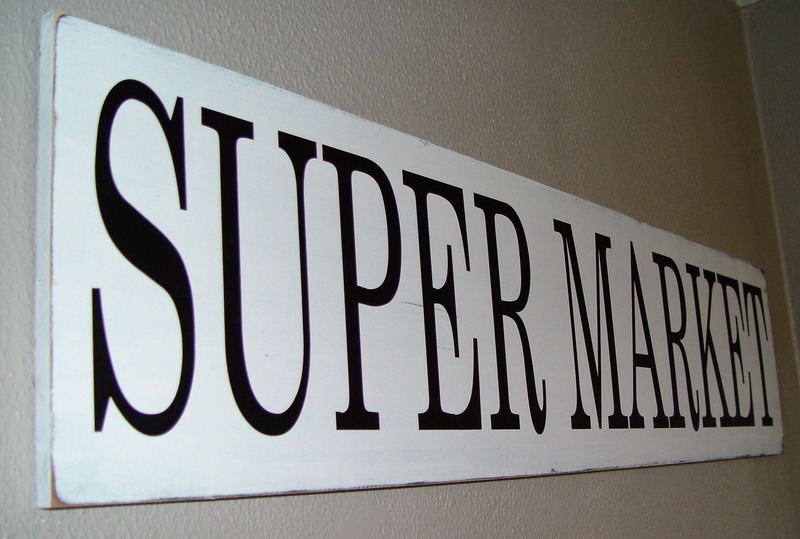 I love this sign. Looks just like the pic.